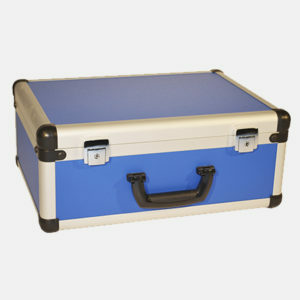 The NioCase is a British product, designed, manufactured and patented by Protechnic Ltd. Range of panel colours and material to suit the application. Custom foam interior fitting available. Various printing options available to enhance the product identity. 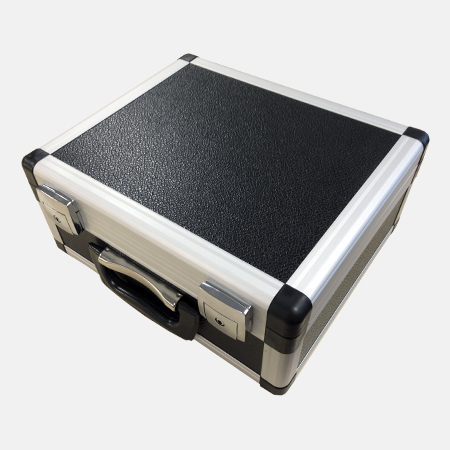 The NioCase is a bespoke case specifically built for your requirements. 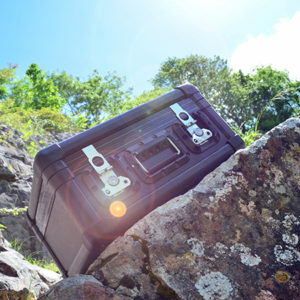 Protechnic are proud to launch the Nio case, representing a breakthrough in cost effective case manufacture. Designed around an aluminium composite panel, box section anodised aluminium extrusions and injection moulded ABS corner sections the Nio case can be designed with an extremely low bill of materials cost and the build methodology enables us to be price competitive against inferior low quality imported products. Where a higher end presentation is required the case can be equipped with high quality fittings when needed, combined with a range of panel materials and ‘in house’ UV digital print, the Nio case enables us to engineer the ideal solution where a cost effective, stylish and durable presentation case is required. The Nio case is our latest design and is aimed at the demonstration/presentation market but we feel the price point will enable the case to be used in more price sensitive applications where, until now, the only available solution gas been low quality injection mounded cases. 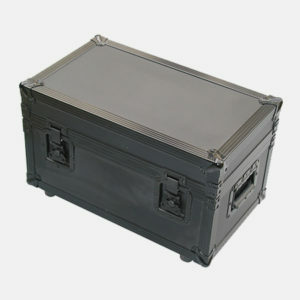 The modular design enables us to produce a case that exactly meets your requirements. The Nio case is entirely designed and manufactured in the UK.